Below are a few of the testimonials we have received from our wonderful homeowners. We at McArthur Homes place a very high emphasis on customer satisfaction. 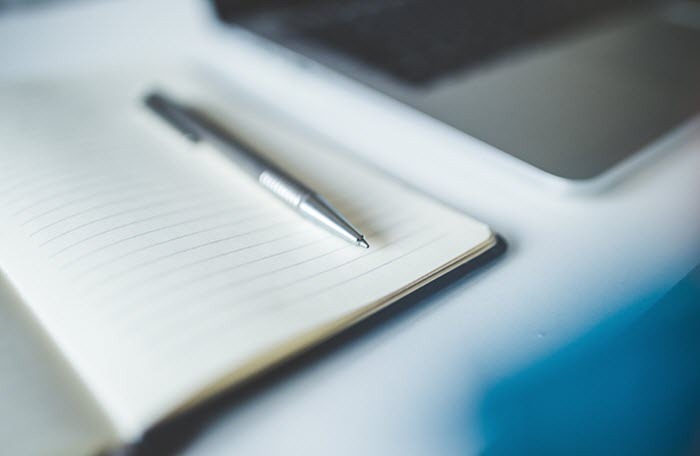 In fact, we survey all of our homeowners after closing using a third party company. Over the last two decades, 95% of those who responded to our survey said that they would recommend us to their friends and family! You can even view all of their survey responses yourself. 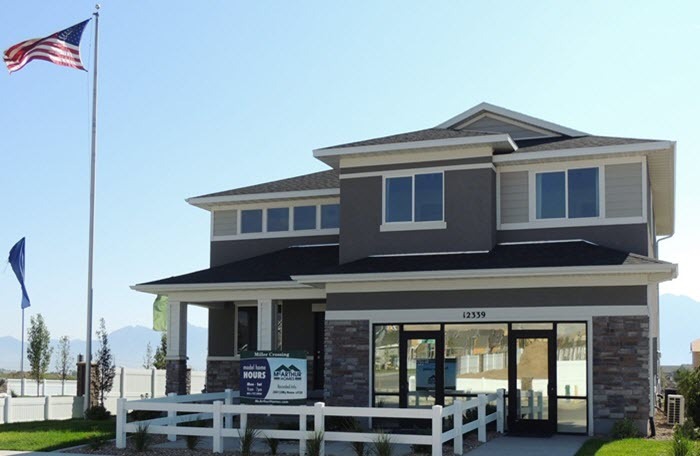 “We were lucky enough to build our very first home in the McArthur Homes Legacy Ranch community. It is a beautiful community with many amenities. It was in the Legacy Ranch clubhouse workout room that I started to run off my baby weight after having our first child. It was in the clubhouse pool that our child had his first taste of swimming. It was on the trails that go throughout the neighborhood that I have run on to try to get rid of the baby weight from child number two (and who am I kidding, I am still trying to lose the weight from child number one!). It is in the several parks/playgrounds in the neighborhood that we spend our afternoons playing and picnicking. We have loved every aspect of our McArthur home! As our family continues to grow, we have considered several times to look for a new home, but being spoiled and being able to build a beautiful home just the way we want it in a great neighborhood has kept us right in our place! In fact, the only time we REALLY get serious about moving is when we find another McArthur Home neighborhood that is going up! My husband has absolutely become a McArthur Home snob! He will not even entertain the idea of building with another company! We have been so excited and impressed by the great quality of our home, the great people that work for McArthur Homes, and the ease of the building process. I have spoken to other people that have built their homes who have nightmare stories about their home, the builder etc. who have built with other companies. They say to me, “Don’t you think the building process was so stressful? I never want to do it again!” I had quite the opposite experience! I would do it over and over again! I remember one of the small things that really impressed me was how excited the company was for me to move into my new home. The gentleman that did our final walk-through with us was so excited for us. He gave us a ton of tips of how to take care of our new home. Then he left us with something that really impressed me-a simple tool box with a couple small containers of colors of paint that were in our home, so that we could do touch-ups throughout the years. You can tell that they take pride in their homes, and want us to do the same. And we certainly do! “After searching extensively for over 6 months for our first home we decided to go with McArthur Homes. Our choice was simple, they offered us the most bang for our buck and we were extremely impressed with the craftsmanship of their homes. 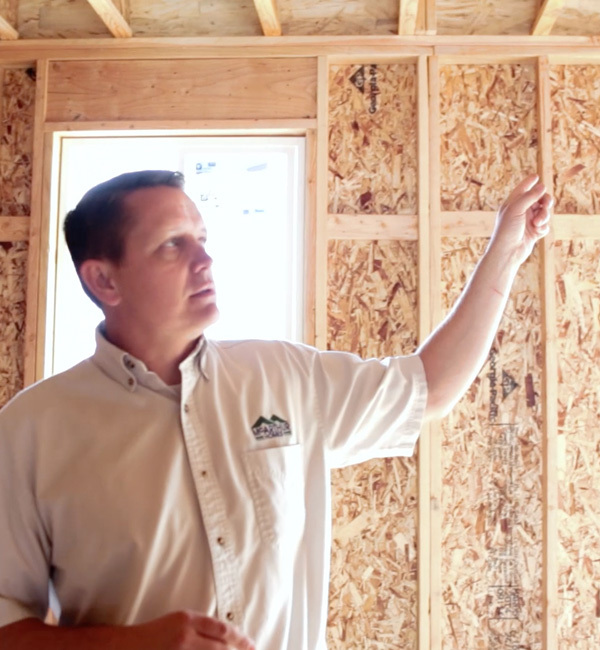 We were eager to start the process of building our home and the staff at McArthur Homes was ready to guide us through the entire process and answer even the silliest of questions or concerns we had. We were overwhelmed with excitement to preview the endless possibilities in the design studio. There were so many options in all price ranges that we really could personalize our home just the way we wanted, on the budget we had set for ourselves. “We have been married for 8 years and lived in our McArthur Home for the last four years. Before we built our home with you, we had moved from place to place. We moved 11 times in four years searching for a place we could call home. When we were looking to build, we looked everywhere. When we walked into the McArthur model home, in Legacy Ranch… we Loved it! We drove around the neighborhood and thought it was a place we would love to settle. When we worked with Doug, our Community Sales Manager, to find the floor plan and the lot we were very happy with the choices. Though there were many great models, the one we chose is so perfect for our family. We love our floor plan! Our experience with the design personnel was great. Kristi, the Design Studio Consultant, knew how to help us build a home we love. When we were in the process of building our home, we loved all the attention that was given. The many emails and pictures with updates, and the willingness to change what we wanted throughout the process. It all came together very well. When we moved into our home just under four years ago, we had one child, a little girl. Happy to say we have three children now, we added two boys! We are happy to call this our home… we are building many memories here and plan to stay forever! We love the friendships we have made and are happy to have a clean and safe neighborhood. One of our favorite places to be is on our front porch. Hanging out while the kids play! We just added a basketball standard and love to play hoops with the kids. We love sharing our home with friends and family, and we try to make our home a place all would like to be. It is easy to do with our beautiful and welcoming floor plan. “I can’t say I have just one favorite experience when it came to building our home. For me and my husband, each step in the processing was exciting. This is our first single family home, so to be able to have it built was an amazing experience. We loved going to the design center (I went a lot) to pick out our colors, fixtures, carpets, upgrades etc. I loved that I could take carpet samples and put them beside tile samples to see how the colors went together or I could take a counter sample and put it by my cabinets to see if I liked the look. I loved that I was able to choose a different counter top in each of my bathrooms or different floors (I didn’t, but I love that I had that option). I loved that I was able to pick out my double ovens (which I love). Then came the building experience. I remember the day my husband called and told me that they had dug our hole. We were so excited, it finally felt real. We were going to have a home of our own, one that where we got to choose everything. Then to see the foundation poured. My husband happened to come by just as they were pouring our foundation so he filmed it on his cell phone for me so I could see it when I got off work. Yes, we came out everyday to see the progress of our home. By the time the outside framing was done, Chet (our superintendent) knew us by name. I also loved that everyday Tim (our Community Sales Manager) would email us pictures of the progress of our house, even though we had come out and taken our own pictures. I have to admit, though, my absolute favorite thing about my home building experience was doing the final walk through with Ben (the Warranty Manager). I know you are probably thinking I am crazy, but for me, it meant my dream had finally come true. My new home, one that I had picked out and no one else had ever lived in, was finally done and in just a few days I was going to get to move it. I didn’t sleep the first night we moved in, I just sat in bed loving the smell of new carpet and paint. “It is difficult to choose which moment of our home building process was our favorite because the whole experience was so very positive. We had many great experiences starting with the very first moment we walked into the model home and spoke with Andra, the Community Sales Manager. Our questions were answered right up front and everyone was always so cheerful and helpful. We loved the fact that there was a Design Studio that we could actually see and compare different options for carpet, flooring, cabinets, tile, lighting, colors, etc. McArthur really has home buying and building down to a science. To be able to meet with Roger, the Purchasing Manager, and go over all of our plans and make any adjustments was such a positive and exciting moment. It was obvious that Roger had our best interest as his main goal, and that he wanted us to be completely satisfied before moving forward. We had a bit of a tight schedule, so the fact that McArthur was able to have our home ready for us within 5 months of the time we started the process was a real blessing. The walk through after our home was framed and wired was great and the fact that McArthur anticipated some wiring additions and some extra lighting was a big bonus. They seemed to know just what we needed even before we knew. Adam, our Superintendent, was so courteous, helpful and professional. I am a pilot and to be able to fly over and watch the home being built and the progress that was made each week was truly an exhilarating experience! To have Ben, the Warranty Manager, do our final walk through and catch every little detail to make sure our home was just perfect was truly the icing on the cake. Then to have Ben present us with a toolbox and shovel, and Andra to present us with a Scentsy candle at closing truly put an exclamation point to the whole process. Not to mention that any repairs were completed within days. As if all of the above was not enough, McArthur provided us with a truck to help with our move. They really know how to make the home buying experience perfect. Our first family dinner after we were all moved in and settled, was wonderful. We were in our dream home and we had the room for all of our children to visit and feel the warmth and love that this gorgeous home holds. “My wife and I were living in the Britney Townhomes by McArthur Homes in a Dover model 2bed/1bath. It was great for us as a couple, but we wanted to grow our family in a larger place. 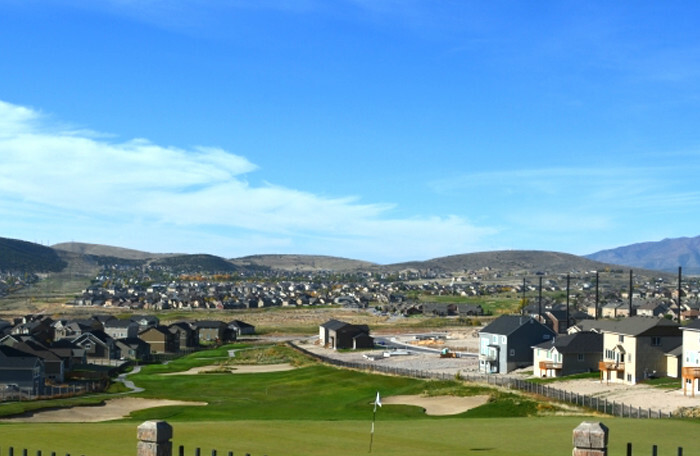 We learned that McArthur was building a community in Herriman and we liked our experience at Britany so much that we checked out Legacy Ranch North. The Community Sales Manager there was very outgoing and friendly and we signed papers that day to take advantage of a discount on the house’s site. I don’t know why there was a discount because it has a great location in the neighborhood, with one of the best views of the Wasatch Mountains! “We have had two homes built previous to McArthur Homes and this was by far the best-built home of all. We were living in Pennsylvania and planning to move to Utah when we discovered McArthur Homes online. We sent our son to see the property in Lone Tree Eagle Mountain. Our son met with Andra, the Community Sales Manager, and they made a conference call to us where we settled on the Sarena model by viewing 3″ X 5″ photos of the house and a small floor plan photo. The Sarena turned out to be the best fit for my wife and I with its generous floor plan. The building schedule was maintained and we were enjoying our new home in September of 2010. The house has been economical for utilities and built tight and rock solid. The experience of building was hassle free while working with the exceptional employees of McArthur Homes. McArthur Homes has been responsive to our requests for the few warranty items that arose. 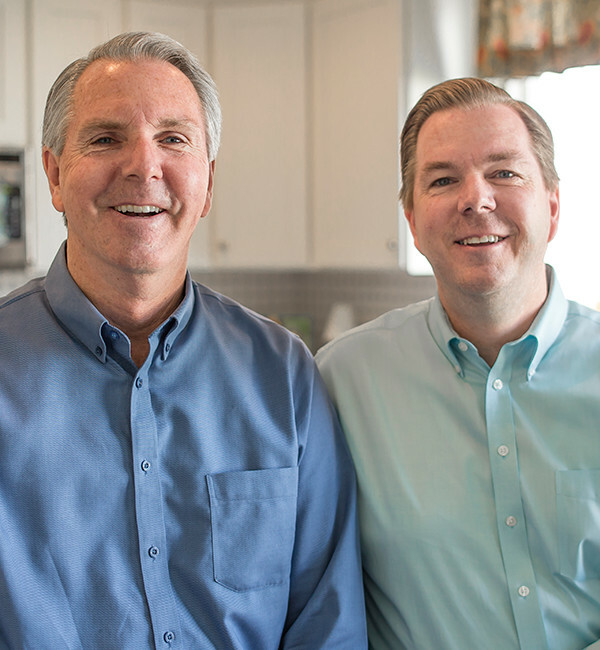 “When we started looking for our first home, we wanted to get it absolutely right. You can only build your first home once, right? We went through many different models of different builders and had decided on the house that we wanted. We even put our money down. On our way out, we noticed a sign for McArthur Homes and decided to check it out. The instant I walked through the front door of the McArthur model, I could tell that I was in a better home than I’d walked through in the past. The quality and the details of the home were above and beyond what we’d seen for homes in the same and even higher price ranges. We didn’t choose our house because it was the best deal, it was the same price as the other homes we’d seen. We chose the house because it was the best quality and best house that we could find. From our personal advice in the Design Center to the many questions we asked the builders, to receiving our keys and opening the door of our beautiful new house for the first time, every step that we took was effortless and wonderful. And I know that I have McArthur Homes to thank for that. “ ‘It will just feel right.’ ‘You will just know.’ These were two common phrases of advice given to us as we began our search for our new home. I didn’t fully understand what that meant until I stepped into a model of my future McArthur home. One of our favorite experiences in building our home was visiting the design center. We had so much fun choosing design elements and upgrades. We were impressed and excited again and again as we found multiple ways to add “dream” elements to our home while staying within our budget. As builders, we faced a challenge. We had our home in Utah built for us while we were living across country in Maryland! The McArthur team really shined and made us feel confident and comfortable every step of the way. They worked so well with our realtor and sent detailed pictures of the building process as often as we asked. They answered any questions we had through regular emails and even conducted a walk through over the phone. When we left for Maryland, we had a freshly poured basement that we affectionately called “our hole”. On our next visit, 3 months later, we had a beautifully finished home. The house was completed on schedule and the closing process went smoothly.